AN AER LINGUS flight from Dublin to Faro carrying 181 passengers was forced to turn around and return to Dublin after a technical fault on the aircraft this morning. The EI 490 flight left Dublin at 6.20am but after the fault was uncovered a decision was taken to return. The plane then made an emergency landing again at 07.06 am. 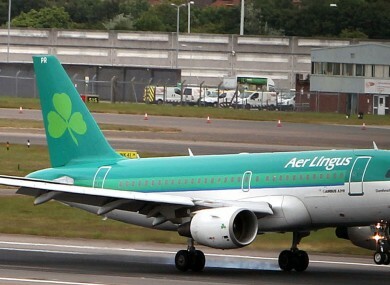 Aer Lingus says that emergency services were deployed at the airport as a precaution upon landing at Dublin. All of the passengers safety disembarked the aircraft with Aer Lingus assuring them that they will be flown to their destination in Portugal later this morning. No other disruptions are expected as a result to of this morning’s incident. Email “Aer Lingus flight makes emergency landing after mid-flight technical fault”. Feedback on “Aer Lingus flight makes emergency landing after mid-flight technical fault”.